The new Samsung Galaxy Fold is Samsung’s first folding smartphone, the handset is launching next month and now it has turned up on some benchmarks. 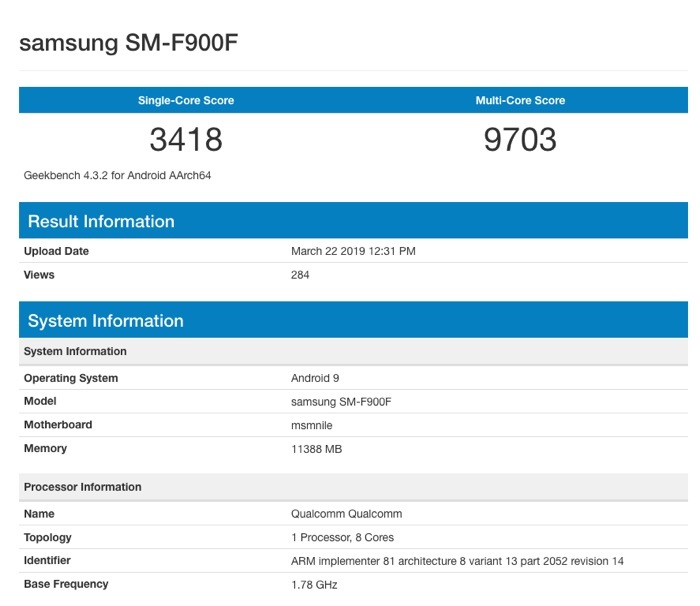 The new Galaxy Fold was recently spotted on Geekbench and the device can be seen in the picture below it was listed with the model number SM-F900F. The device score 3418 on the single core benchmark and 9703 on the multi core, the handset is powered by a Qualcomm Snapdragon 855 processor and it also comes with 12GB of RAM. The scores on the device are actually lower than that of the Samsung Galaxy S10+ which score 11081, it is also lower than Apple’s iPhone XS Max which scored 11,269. 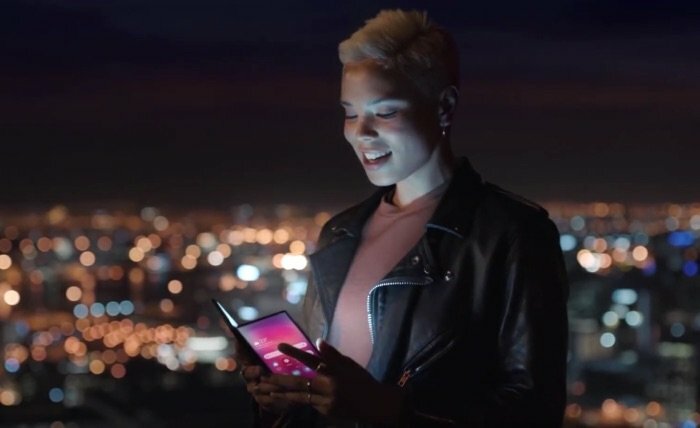 The new Samsung Galaxy Fold goes on sale next month and the handset will cost around $2,000, pretty expensive for a device considering its performance compared to other handsets.